Tough enough to drive over - guaranteed not to crush, crack or break down. It even floats! Maximum tongue weight – 1,000 lbs. Replaces those worn 2 by 4’s. No more sinking in the mud. No dents in the driveway. Light weight - bring it along, it even floats! Tough enough to drive over. 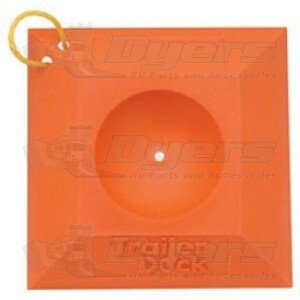 12" x 12" with an indent diameter of 5.5"